2016 Goals. Big goals and little goals. I think I need a restart to the New Year. We rang in the New Year and then I promptly got sick which has made it hard to get motivated at all. I have basically been in bed for the past five days. I am thanking my lucky stars that the kids have been in school so that I can attempt to nurse my self back to health. Perhaps my immune system was just holding it together long enough to get through the holidays before it totally crashed. My fingers are crossed that tomorrow morning I will bounce out of bed and feel my energy rushing back in. I have so many goals for the New Year that I am ready to start chipping away at! Now for those 2016 Goals . . .
Boston Marathon 2016: Finish this race feeling strong and confident that I ran the marathon with consistency. I don’t want to make the same mistakes that I made in 2014 by going out too fast. I plan to race a conservative first half and then to work on negative splits for the second half. Big Boston Marathon Goal: Break 3:30! My PR is a 3:33 and I know that I have more in me. It’s definitely going to take a lot of hard work to achieve this time goal so once I am healthy it’s time to get focused! Half Marathon: I would love to see a PR in the half marathon distance. My half marathon PR is a 1:37 on a fast and flat course when I was in peak Boston Marathon qualification shape in 2012. Maybe this could happen at ZOOMA Cape Cod in the fall? Learn to push through the tough points without giving up. I have been a bit of a head case lately. I don’t want to get so focused on a time goal that I forget to love the run for what it is and to remember that it will be hard sometimes and that is ok.
To do another big trail race! To race at least one race with my kids! Half Ironman: Now that I have completed my first Half Ironman at Timberman I hope to PR at this distance. I will have another shot this summer when I race the Timberman Half Ironman again! Olympic Distance Triathlon: I want to race more. I want to PR. I want to become more comfortable with transitions. Cycling: I need to improve my stamina on the bike. I need to spend more time riding the trainer this winter and just need to continue getting more miles under my belt. I still haven’t quite figured out how to push my self on the bike. To keep a monthly editorial calendar. To become more organized with keeping track of campaigns, sponsored posts etc. by using tools such as Evernote, Spreadsheets and more. To have some professional photos taken for use on the blog. To consistently use coschedule and other schedule tools to consistently release content onto social media. To rework old content and to create new content based on current trends. To continue to build Pinterest and Instagram through more quality pinnable images, more interaction on Pinterest. To utilize Periscope in conjunction with the blog. To attend at least one blogging conference. To get my sleep schedule back on track. My goal is to get to bed by 9:30-10:00 every night. I would love to become more of a morning person. To laugh more with friends. To make time for date nights! 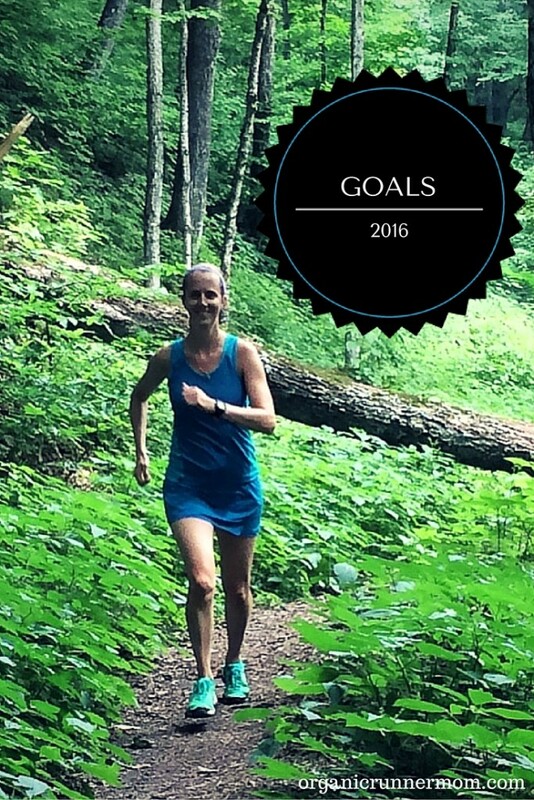 What goals do you have for 2016? Please share with me in the comments! 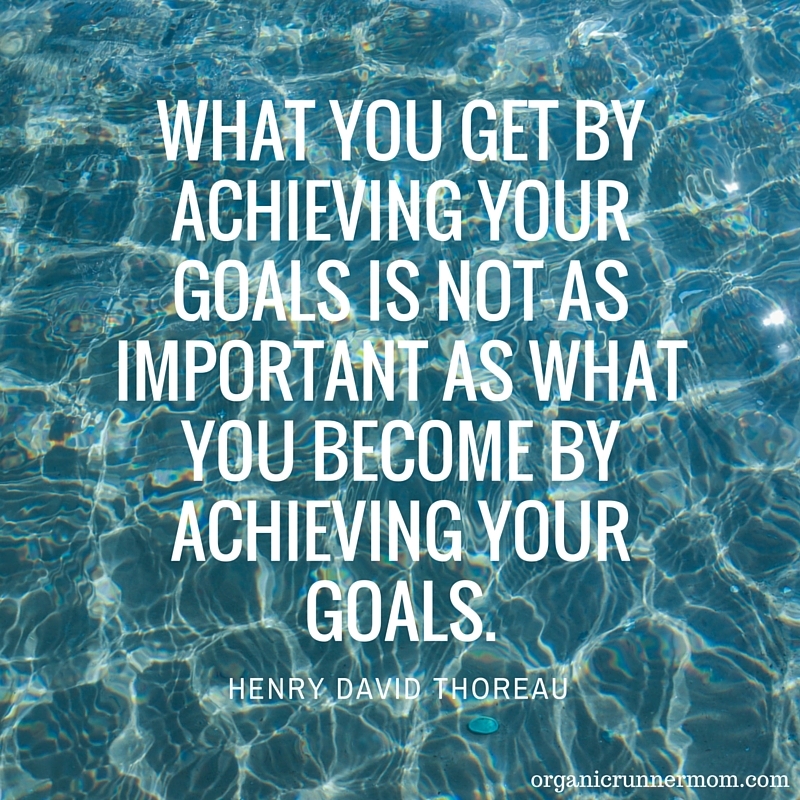 What you get by achieving your goals is not as important as what you become by achieving your goals. 2016 goals. So I’m guessing with Boston, racing the Columbia Olympic distance Tri on May 15th will be too much? If so, maybe I can swing Timberman with you this year! It will be after nationals so I will be primed and ready!! Whatever happens, I hope we can meet up this year and, you can totally run a 3:30 and I’m excited to watch you do it! Wow that’s a lot of goals! Now I feel like a slacker? Are you planning on going to the skirt sports half? Wow, that is impressive! I have been unable to set goals this year for some reason, although I would like a half marathon PR. You have big things coming your way this year! I hope I get to see you at Blogfest!! Ugh I’ve been super sick all year so far too! I got sick Friday night and haven’t been able to shake it yet. I was sick for the end of my vacation time visiting my family, and then I attempted one day of work before calling out sick today 🙁 I hope we both feel better soon! Also, I love your goals. Good luck in 2016, you got this!